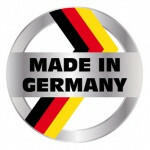 Our products are 100% made in our facility in Witten - Germany. In-house made steel castings, high quality forgings and spare parts, purchased by german suppliers, guarantee a maximum of quality and reliability. Our company is DIN EN ISO 9001 certified, but our philosophy not only focusses quality and reliability aspects. Efficiency and sustainability are major aspects as well. The certification of our energy management according to DIN EN 50001 confirms our efforst and gives additional motivation to take care of our environment. Driven and idle crane wheels, designed according to DIN standards or self-construction, equipped with various bearings and an exclusive material selection. 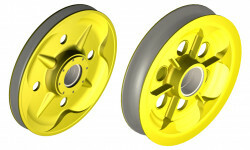 Do you need special designed wheels? Contact us to get support and more information. Together we settle all relevant questions. By the way: Our wheels can be cast or forged! 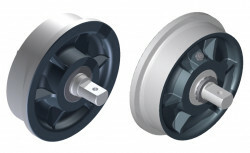 Driven and idle wheels, designed according to DIN standards or self-construction, equipped with various bearings, different gear connectors and an exclusive material selection. We produce your wheel sets as required. Rope pulleys in cast or forged execution with plain or roller bearings, with or without inner bushings. Wether you need single parts or ready-to-install modules, we have the solution for your application. Our BIS standard gives an overview of the different constructive Variations. Each unit can be done according to your requirements. Contact us, we are looking forward to your call! Wheel bearings ready-to install. Use our BIS standard sheets for inspiration or identify suitable solutions. We will gladly support you in the choice of bearings, load calculations and the specification of the right design. Maybe, your constructive design allready exist in our huge archive. Contact us! 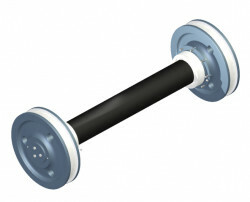 Ready-to-install wheel sets for all rail shapes. As required the wheel sets can be equiped with outer or inner bearings, suitable for your steel construction. Take a look in our BIS standard to get inspired or find a suitable solution for your application. We will gladly support you by the choice of bearings, load calculation and design specifications. Maybe, your constructive design allready exist in our huge archive. Contact us!